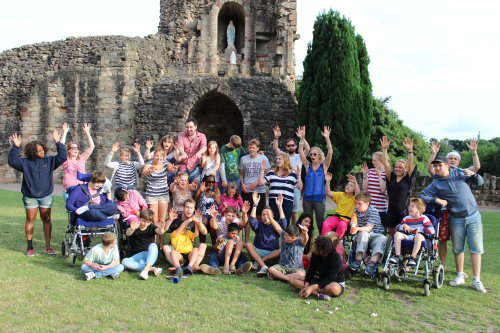 St John's Holidays for Children Trust (SJHCT) is a small charity which runs two annual holidays for children with special needs. 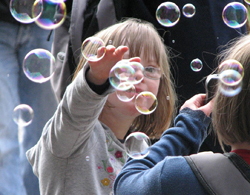 The charity was founded in 1975 to provide residential holidays for children with physical and learning disabilities. It takes its name from St John’s Beaumont, a school where the holidays take place and some of the original volunteers were pupils. 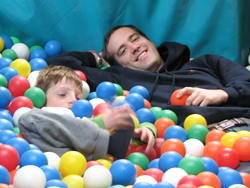 Kids’ Week, as our holidays are more affectionately known, give parents a break from childcare and is a fantastic adventure for the children and the volunteers. 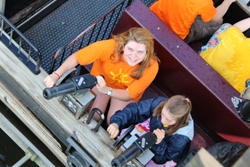 During the holidays we organise fun days out and activities such as swimming, bowling and cinema trips as well as visits to Chessington World of Adventure and Legoland. The charity was set up with the Roman Catholic principle of service and helping others. However, we welcome children and volunteers from a broad range of religions and non-religious backgrounds.